Claire Edwina Smith was born on July 15, 1957, in Sydney, Australia, as the second of three daughters, to James Alexander Smith and Annette (nee Jones) Smith. She spent her youth in Booragul, near Newcastle, NSW, with her working class parents, of Scottish and Irish background, inculcating her with empathy for the disadvantaged, tolerance toward others, valuing action rather than class or wealth, and respect for learning and progressive causes. Her interest in archaeology was inspired by a 1st year course in economic prehistory at the University of Newcastle in 1983 while enrolled in a degree in economics. It challenged her stereotypes about past and present Australian Aboriginal populations. She transferred to an Arts degree at the University of New England in Armidale, NSW, with a focus on Australian Aboriginal art, mentored by Mike Morwood and Jane Balme. She completed her Bachelor of Arts degree there in 1990, with First Class Honors and the University Medal with the thesis Designed Dreaming: Assessing The Relationship Between Style, Social Structure And Environment In Aboriginal Australia. Her doctoral work, also with the University of New England at Armidale, focused on style in Aboriginal rock art, in theory and practice. It was based on extensive fieldwork with and for Aboriginal people of the Barunga region, Northern Territory, Australia, and mentored by Jane Balme, Betty Meehan, and Mike Morwood. It culminated in her 1996 PhD dissertation Situating style: an ethno-archaeological study of social and material context in an Australian Aboriginal artistic system. Following an Australian Research Council Postdoctoral Fellowship, she was appointed to the faculty of the Department of Archaeology at Flinders University as Lecturer (1998), Senior Lecturer (2001), Associate Professor (2005), Professor (2010), and Head of Department (2012–2015). In 2016, she was appointed as Dean (Research) for the College of Humanities, Arts and Social Sciences. She has been the recipient of a Fulbright Postdoctoral Fellowship, hosted by the American University and the Smithsonian Institution National Museum for Natural History, Washington, D.C., in 2000–2001. She has held academic visiting appointments at Columbia University, Lock Haven University, Pitzer College, and the University of Denver in the USA, the University of Cape Town in South Africa, Kyushu University in Japan, and the University of Newcastle, NSW, Australia. 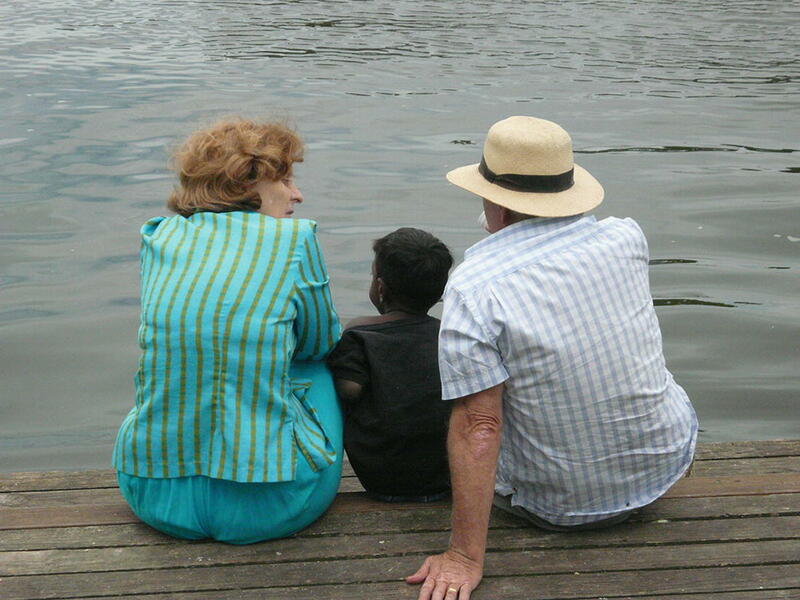 She is married to anthropologist Gary (Jacko) Jackson who has been an important collaborator in many of her research projects; they have one son (Jimmy) and reside in Blackwood, in South Australia (Fig. 1). Dr. Smith’s scholarship is focused on the art, archaeology, heritage, present conditions, and deleterious outside interventions among postcolonial populations in general, and specifically the Aboriginal Barunga community of the Northern Territory, Australia. For details, consult Dr. Smith’s full “Professional Curriculam Vitae” in the references. In addition, she has carried out fieldwork with Indigenous groups in India and Indonesia. Also among her research interests are rock art and the teaching of archaeology and cultural heritage (see for example Smith 2000), and how that teaching affects students, and also the future of Aboriginal populations and public understandings of the sophistication of Aboriginal cultures (e.g., she was the instigator of the following report: A Past for all Australians: Archaeology and Australia’s National History Curriculum, submitted to the Australian government as input to the national history curriculum). Very few people have been as intimately engaged with, and for, the people at the focus of their research as Dr. Smith. She has carried out fieldwork in the Aboriginal community of Barunga in the Northern Territory for more than 20 years now (e.g., Smith 2004) and with the Ngadjuri people in South Australia for more than a decade. Dr. Smith’s goal is first and foremost to benefit Aboriginal communities and Indigenous communities in general. This is manifest in Dr. Smith’s research and scholarship, in her teaching, and in her prodigious service and outreach. She has been most visible internationally in her many roles in the World Archaeological Congress, particularly her 11 years as the President of the World Archaeological Congress (2003–2014), where she is the Immediate Past President. In her capacity for WAC, she worked to transform interpersonal relations in world archaeology. She has worked actively to democratize world archaeology by breaking down the “old-boy” English-speaking network that controlled the field and increasing opportunities for Indigenous peoples and for archaeologists and archaeological students from low-income countries to share their knowledge with their peers and to obtain new knowledge in world conferences and through publications, including the Encyclopedia of Global Archaeology. She was the organizer and co-organizer of two WAC congresses, WAC-5 in Washington, D.C., in 2003 and WAC-7, at the Dead Sea, Jordan, in 2012. The latter conference provided substantial support for 440 participants from disadvantaged groups and low-income countries. In addition, she instigated many of WAC’s new ventures including the Global Libraries Program (in support of disadvantaged institutions), Archaeologists without Borders (an international faculty exchange), Archaeologies (its international journal), and its web presence, and she reinvigorated its publication programs (with five new book series), its topical inter-congresses, and its championing of ethical practices within the archaeology and related disciplines. Both in her academic and administrative functions, she is frequently voicing concerns in the public arena about policies deleterious to the archaeological record and its cultural custodians, particularly in postcolonial contexts. In Australia, and internationally, she frequently speaks out, and publishes academically and in popular media, about how governments and governmental and non-governmental organizations can interact with Indigenous populations in a culturally sensitive, fair, and just manner and how deleterious many public policies are toward Indigenous Communities. Most recently she is often asked to advise, consult, and help academic institutions, foundations, research museums, and Indigenous governmental bodies with that dimension of their work. 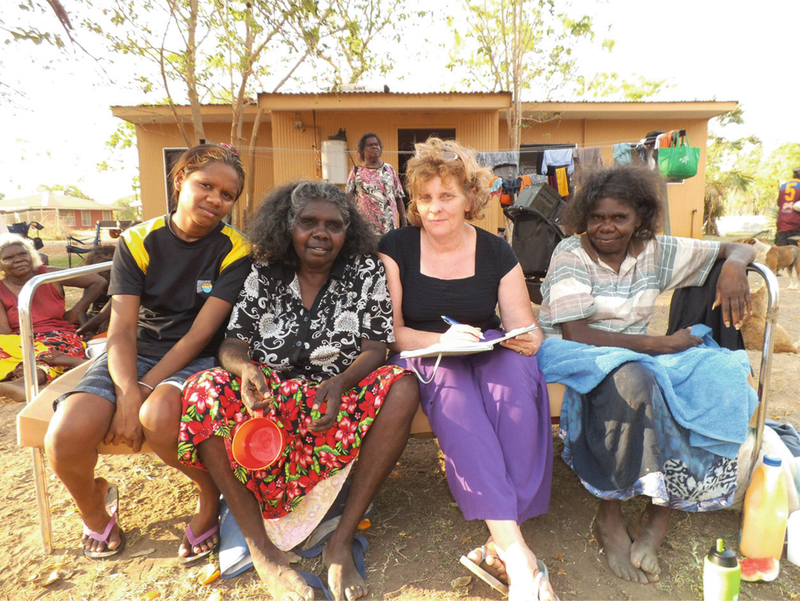 Her research has been supported by grants from the Australian Research Council, the Australian Academy of the Humanities, the Fulbright Commission, Wenner-Gren Foundation, Australia Youth Foundation, Australian Institute of Aboriginal and Torres Strait Islander Studies, and Ian Potter Foundation, among others, and has generated considerable corporate support for the causes she champions. Among her numerous publications, Dr. Smith has completed 12 books and more than 50 refereed articles and chapters (in English, and in Catalan, German, Japanese, and Spanish), as well as innumerable reports, conference papers, blog pieces, films, interviews, news releases, and more than 20 key note addresses at international professional venues (Argentina, Australia, Brazil, Canada, England, Japan, New Zealand, Nigeria, Portugal, Russia, and the USA). A number of these publications have been written with her close colleague, Dr. Heather Burke (Burke and Smith 2004, 2007; Burke et al. 2008, 2017; Domingo et al. 2007; Smith and Burke 2007). One of her most successful and far-reaching publication ventures has been her editorship of the Encyclopedia of Global Archaeology (11 volumes, 8,013 pages, 2,619 figures, 106 tables, 1,390 authors, and 1,625 entries). Its first edition, published in 2014, has received more than a quarter of a million downloads so far (Smith 2014). But it is not just in her publications that Dr. Smith has helped to transform her profession. She has been a tireless worker behind the scenes, creating alliances, jumpstarting new cooperative research ventures, and helping along and mentoring young professionals, students, and people from disadvantaged populations. She has been one of the prime movers in the field of Indigenous archaeologies, in safeguarding Indigenous intellectual properties and cultural knowledges, and in the decolonization and empowerment of Indigenous heritage (See, for example, Smith and Wobst 2005). She is a passionate fighter for community-controlled research that increases opportunities; improves community control over community resources, knowledges, and patrimony; and leads to more sensitive and constructive treatment of community members by outsiders, be they academic, corporate, or governmental. She has worked ceaselessly to train students in these directions, to facilitate international and interdepartmental collaboration toward these ends, and to support young professionals from previously underrepresented populations, as in her support for the Closet Chickens (a mutual support group of Indigenous scholars and their friends). She also was a prime mover behind the massive international cooperative research project Intellectual Property Issues in Cultural Heritage (funded by the Canadian Social Sciences and Humanities Research Council’s Major Collaborative Research Initiatives program, 2008–2017), and she has organized a number of international conferences to further this agenda, including the Fulbright Symposium “Indigenous Cultures in an Interconnected World” (1997, Darwin, Northern Territory) (Smith and Ward 2000), “Cultural Heritage and Indigenous Cultural and Intellectual Property” (2006, Burra, South Australia), and “Cultural Heritage, Social Justice and Ethical Globalisation” (2007, Adelaide, South Australia). Her many honors include the Jawoyn Aboriginal kin name, Lamjerroc, being given to her son Jimmy in 1990, and a number of prestigious teaching awards including the Carrick Award for Teaching (team category, held jointly with Dr. Heather Burke) and the Prince of Wales Award, and she is a member of Flinders University’s College of Distinguished Educators. She has been appointed to the Australian Research Council’s College of Experts, elected to Fellowship in the Society of Antiquaries (London), and frequently invited to lend her insights and reflections as discussant to international symposia in anthropology, archaeology, Indigenous studies, heritage studies, and other fields. There are few if any people of her generation who have had a greater catalyzing influence on archaeology and related disciplines, to help them break out of narrow disciplinary molds and to direct them to projects that honor not only the past but also do justice and improve the conditions of the descendant populations who are the rightful custodians of that past today (Figs. 2 and 3).